August in Michigan (and the American Northeast) is a a fun time for tomato lovers. So long as late blight isn’t rearing its ugly head, we’re entering the few weeks of prime tomato harvesting season. If you’re interested in canning tomatoes en mass to use throughout the winter, you’ll want to start looking for tomato suppliers immediately. 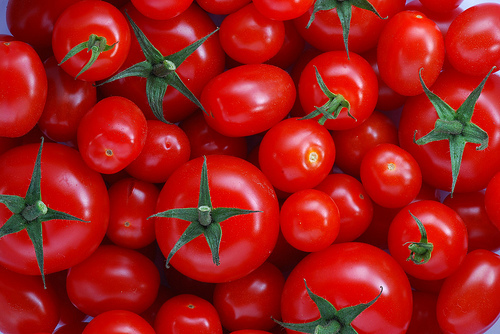 Good organic canning tomatoes will cost $2-4 per pound (depending on supply). 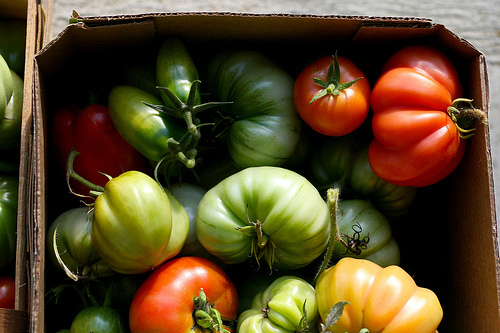 Conventional tomatoes should run $1-2 per pound (if you buy in bulk). Your local food co-op is a good place to start. You can usually place bulk orders there and get a case or two of tomatoes as farms drop them off. Alternatively, you could ask farmers directly at the next farmer’s market near you. We canned some tomatoes in my home last season as part of a test run. Late blight choked the supply and drove prices up, so we didn’t process as many as we had hoped for. Those that did make it, though, tasted amazing in December and January. So far in 2010, late blight hasn’t impacted Michigan tomato crops (though it has been spotted in New York and Wisconsin). That’s good news for the mitten state; and as long as temperatures stay warm, the threat of late blight will be reduced.